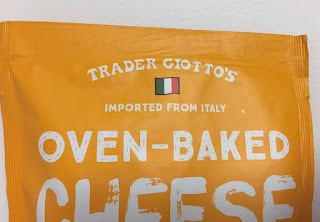 When we went to Trader Joe's with my parents to look for souvenirs for their colleagues, I bought some stuff, too. 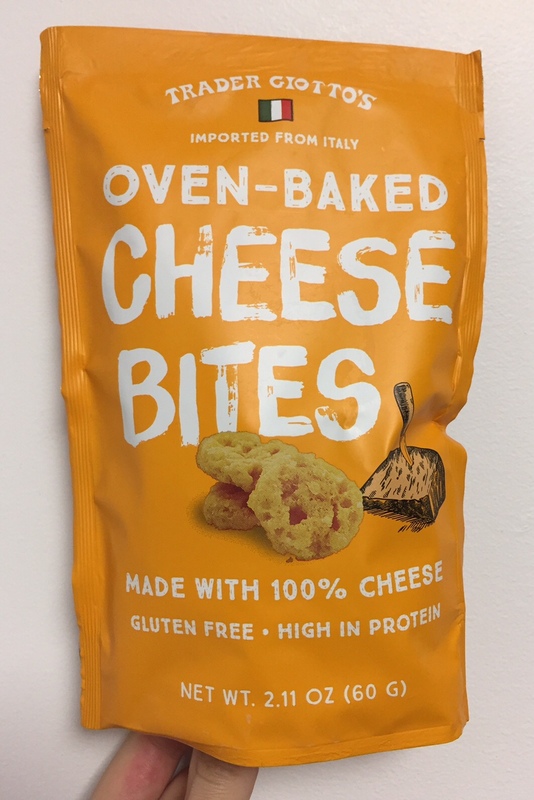 One of them is called "Trader Giotto's Oven-Baked Cheese Bites," which is imported from Italy. 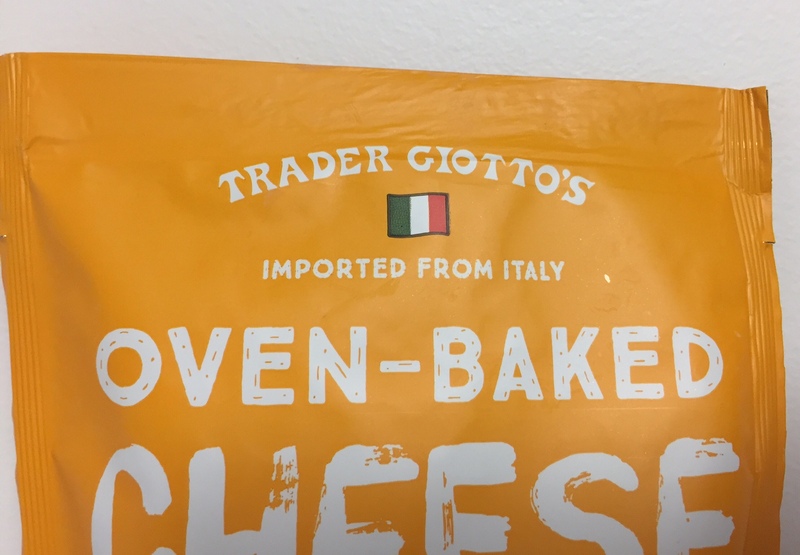 I've never heard of Trader Giotto's but apparently Trader Joe's has several unique names like this, for example, Jose for Mexican product, Jacques, Ming, Johann and others. 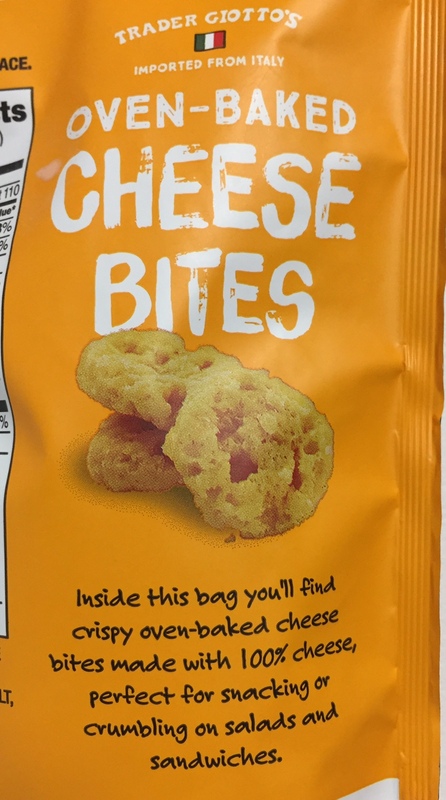 "Inside this bag you'll find crispy oven-baked cheese bites made with 100% cheese, perfect for snacking or crumbling on salads and sandwiches." When I opened the bag, I could smell fragrant baked cheese scent. 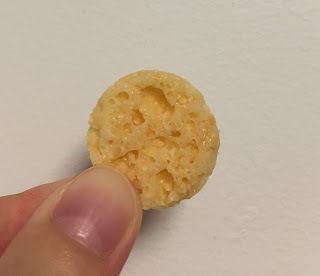 The size was about the same as a quarter coin. The surface was rough and bubbly. 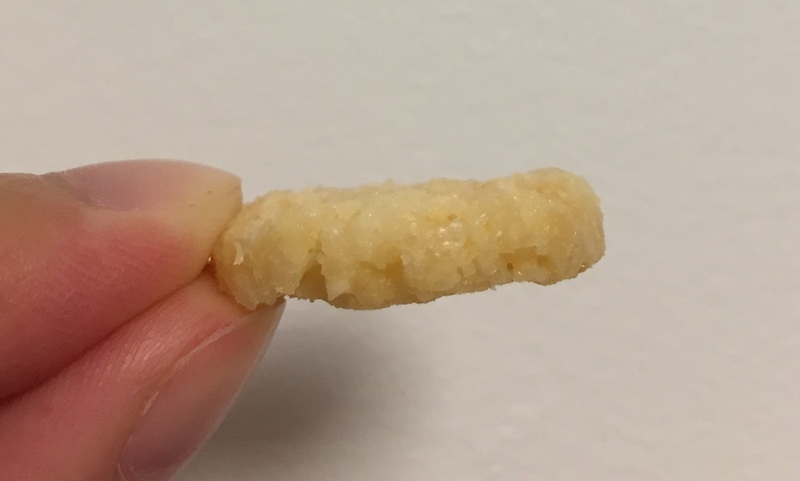 It had about double the thickness of Ritz crackers. 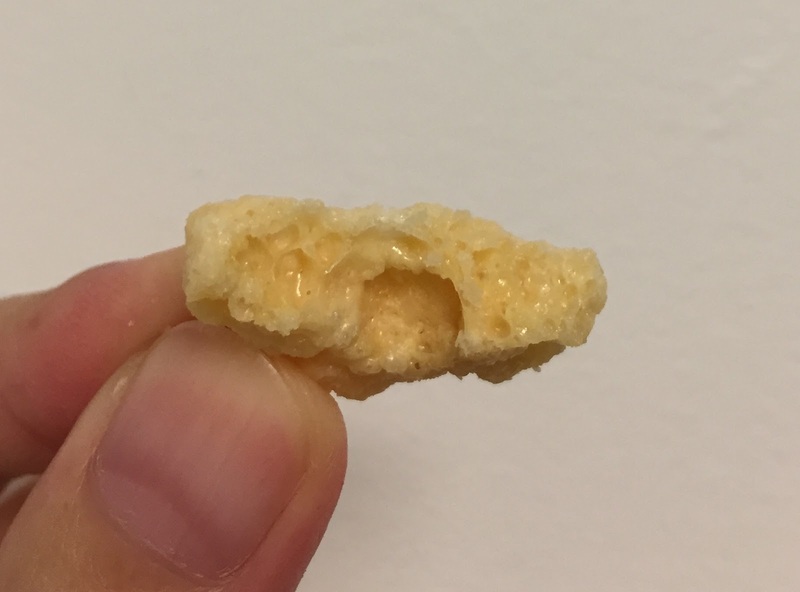 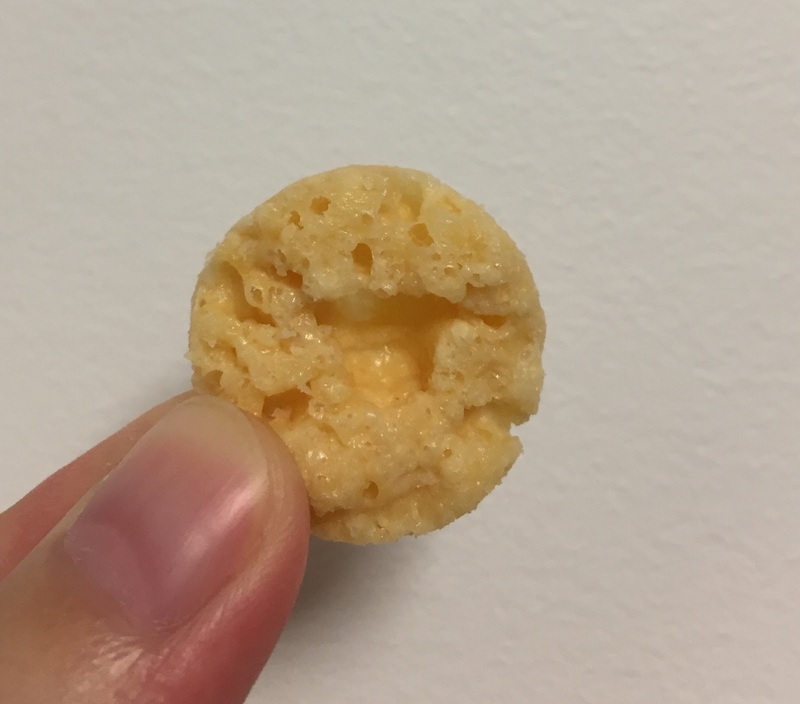 It's crispy, crunchy, salty, and of course cheesy. 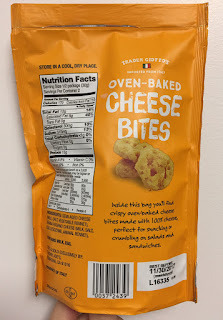 I love cheese to begin with and this crunchy snack was so flavorful because literally only cheese is used, and though it's salty, I couldn't stop eating. The ingredients only had 2 items; semi aged cheese and Grana Padano cheese. 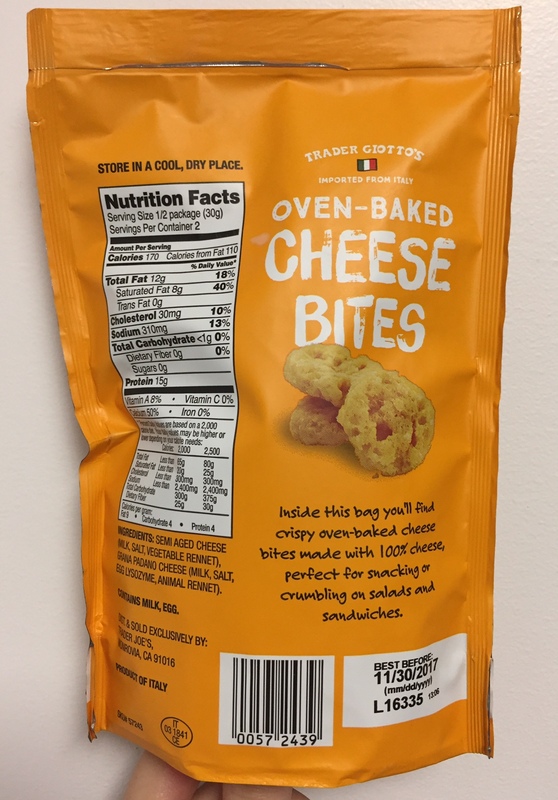 Other reviews of Trader Joe's.